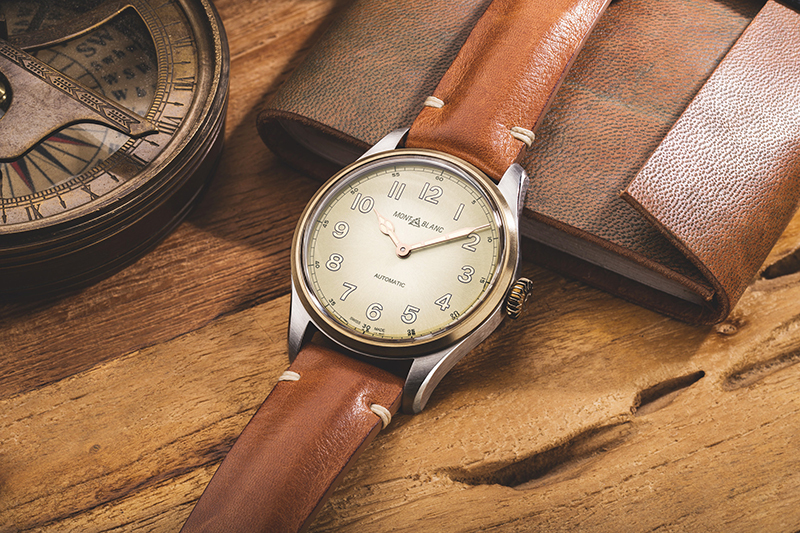 DESPITE — or probably because — it has been in business under one name or another, one owner to the next, Fabrique d’Horlogerie Minerva could now boast of an uninterrupted watch-making lineage stretching back to 1858, when the company first set up shop in Villeret, Switzerland. 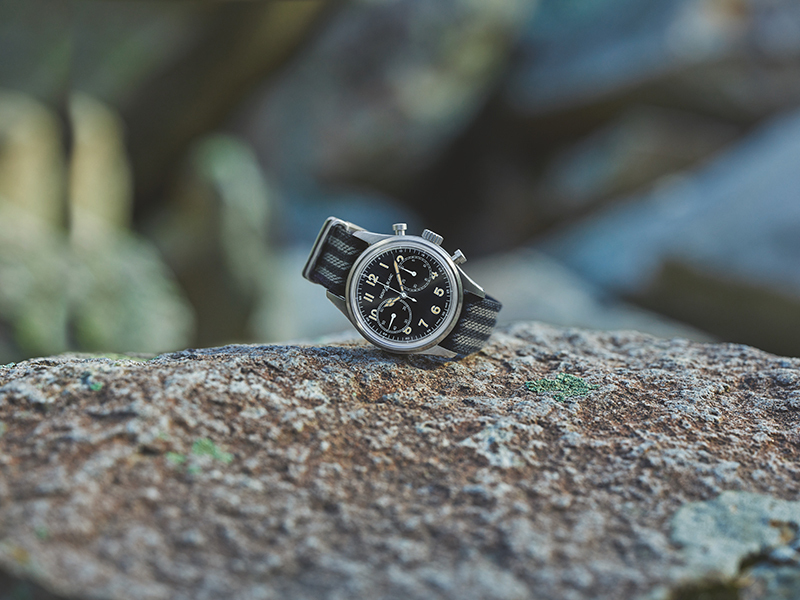 Over the course of these 160 years Minerva has earned its status as, first, a maker of pocket watches, then at the turn of the 20th century, a full-fledged manufacture as it began crafting its own movements. 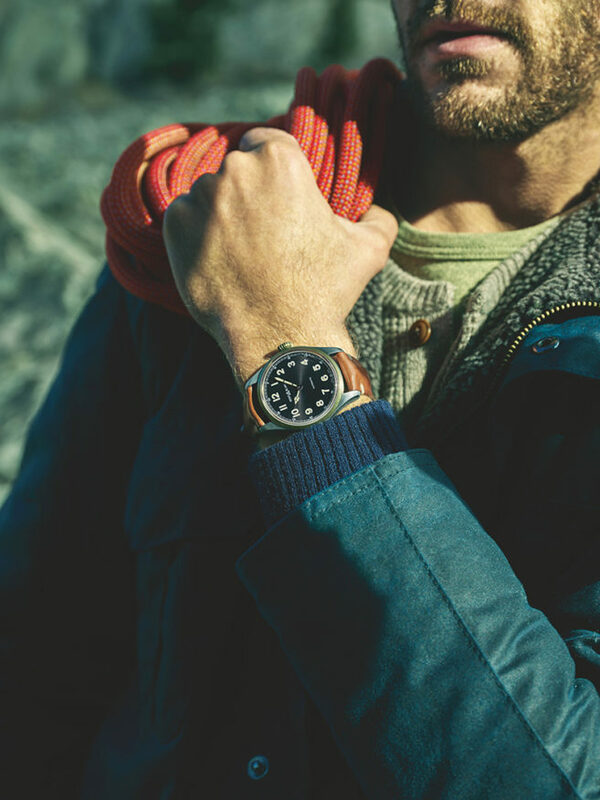 As the record stands now the company lived through a couple of world wars and not a few major disruptions in the mechanical-watch world, finally getting integrated into the mega Richemont Group in 2007. 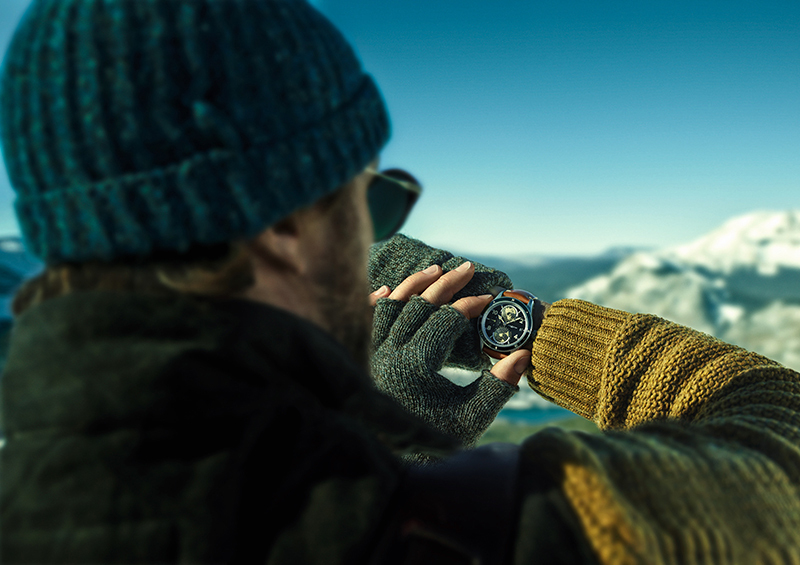 What the company found in the group was a prestigious affiliation with Montblanc, whose watch business was started only a decade earlier, but which also has a history going back to 1906. Immediately set up was the Minerva Institute of Research in Haute Horlogerie, and this meant Montblanc gets Minerva’s expertise — explaining the solid horologic credentials Montblanc has earned in the time other watchmakers take to create a new deployant. 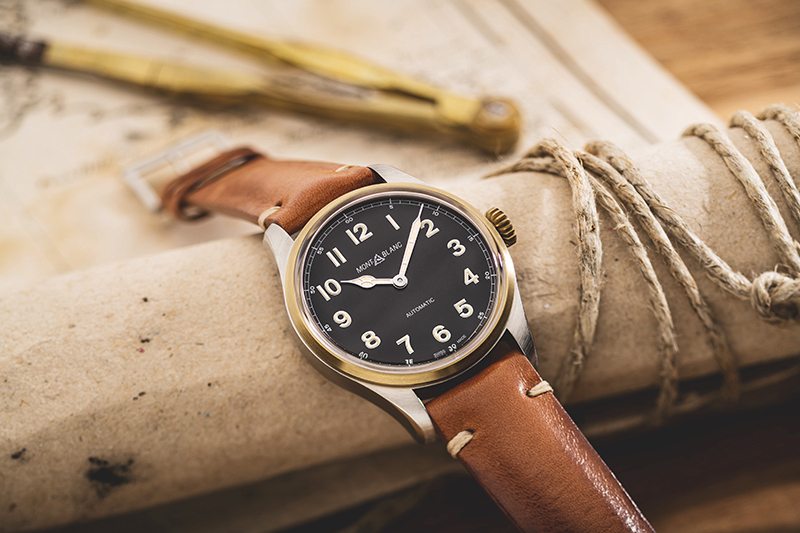 To honor Minerva’s 160th year, and the manufacture’s various movements and watches meant for military and mountain-exploration use, Montblanc brought out a new 1858 Collection that’s steeped in land-bound altitudinal aspirations — or the “spirit of mountain exploration,” as the brand calls it. After all, to say that Montblanc has a deep affinity with the mountain is to state the obvious; its iconic snow cap (or “star”) logo alone visually expresses this. 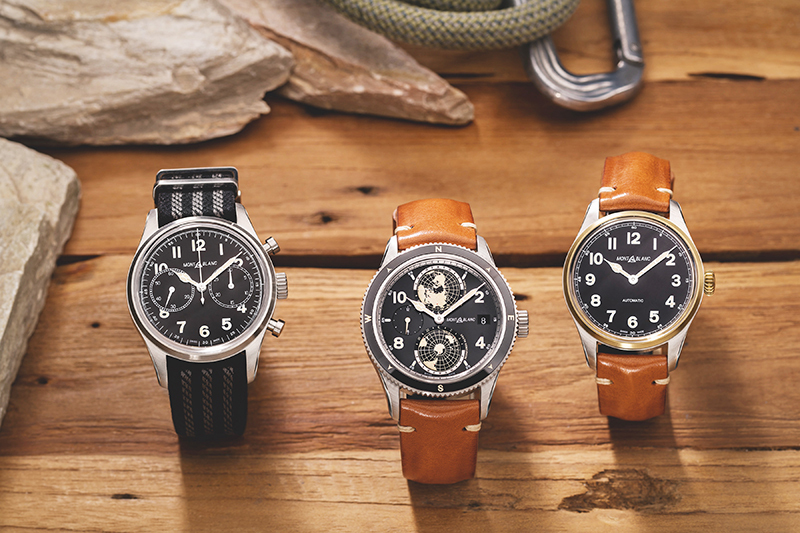 The new five-model collection is comprised of the 1858 Automatic and 1858 Automatic Chronograph, as well as the three limited-edition pieces: 1858 Geosphere, 1858 Monopusher Chronograph and the 1858 Pocket Watch. 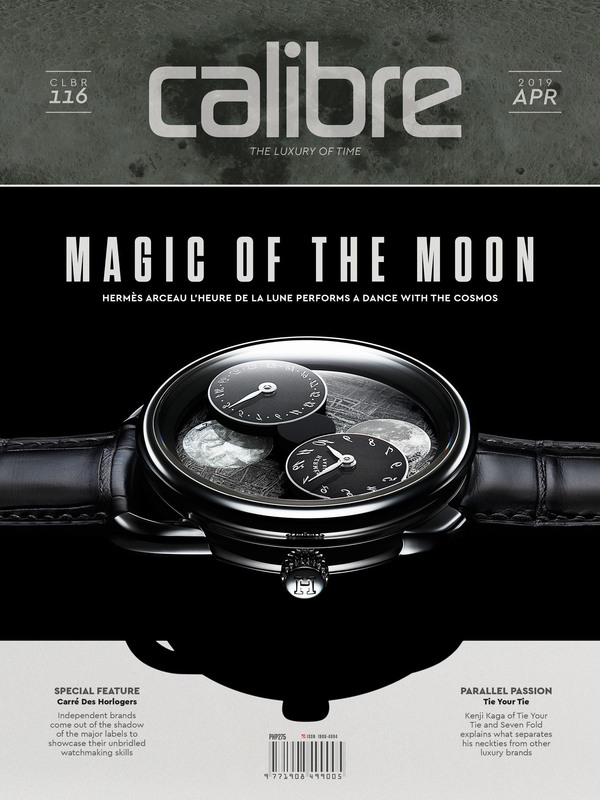 Besides their apparent differences in movement types, the watches also wear aesthetics unique to each (even if sharing a familial look) and come in a variety of case materials and sizes, which range from 40 millimeters to 60 millimeters. 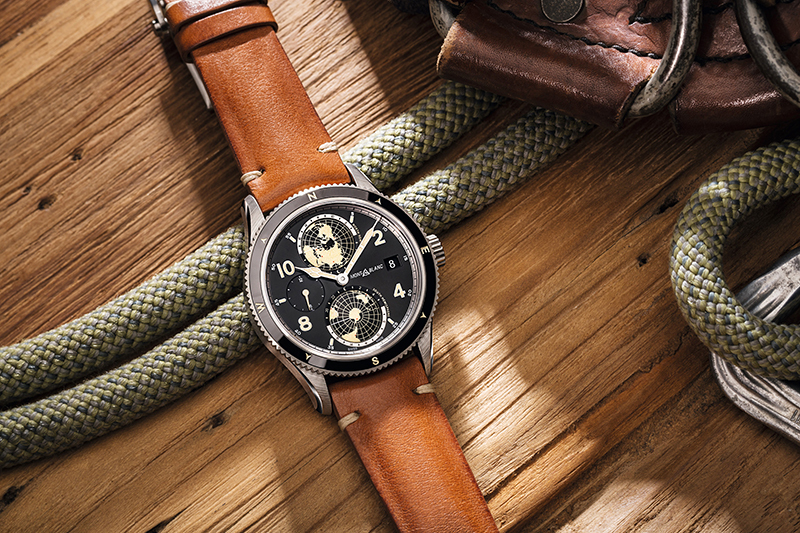 All the models lean heavily toward the outdoorsy vibe of certain Minerva pocket watches and chronographs from the 1920s and 1930s in design, as can be gleaned through the materials picked by Montblanc — satin-finished steel, bronze or titanium for the cases. The Montblanc Pelletteria in Florence, from where come the brand’s fine hide wares, ensure the watches get the best straps, too. 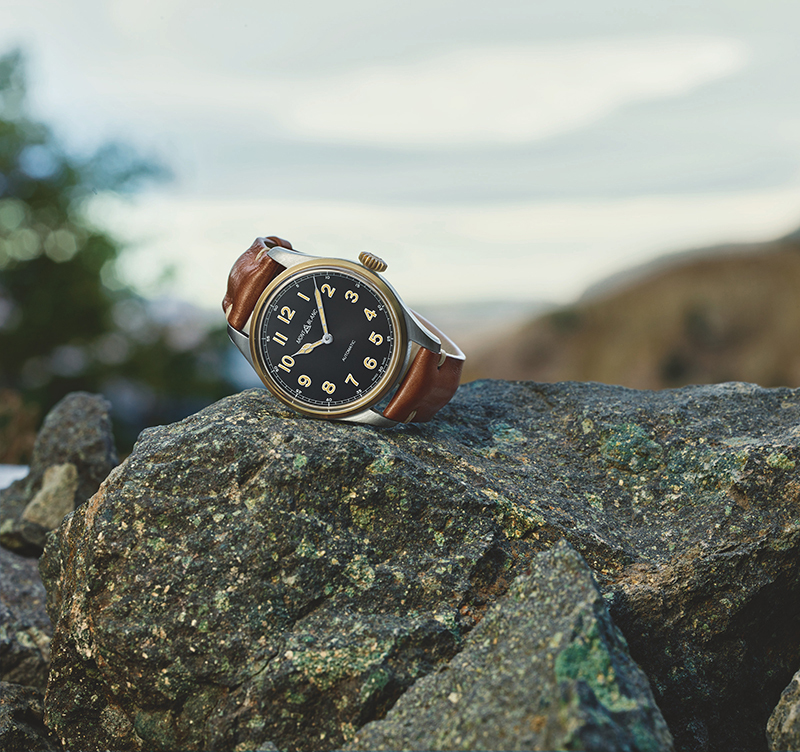 Starting off the collection is the two-hand 1858 Automatic, which emits a vintage feel courtesy of curved lugs, fluted bronze crown, bronze bezel, aged calfskin leather strap (a Nato strap comes with the watch), and a choice of black or champagne color dials. 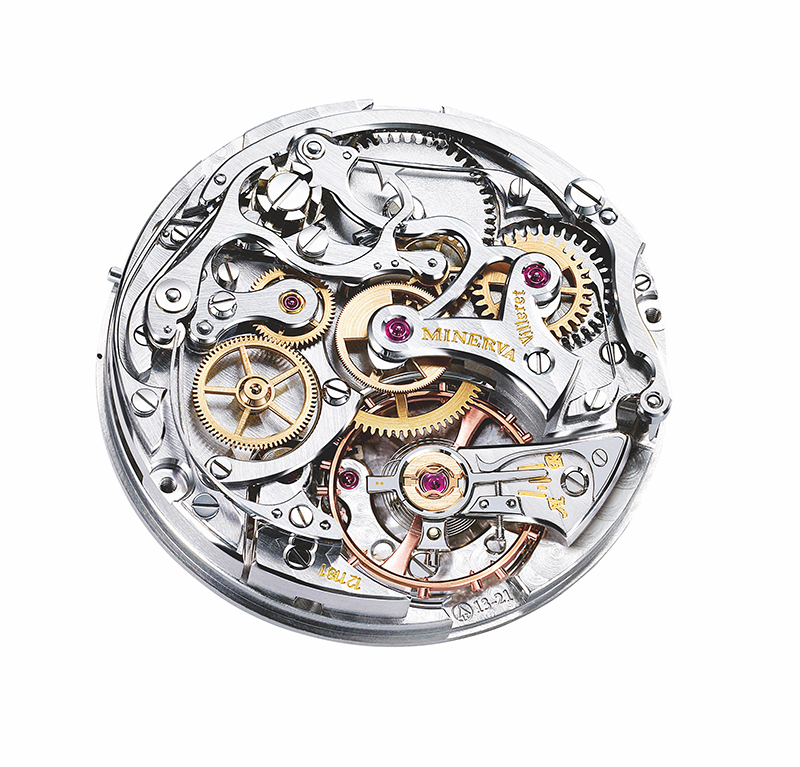 Beating within its 40-millimeter case is Montblanc’s automatic winding calibre MB 24.15 that’s based on the venerable Sellita SW200-1. It’s nothing fancy, simply sturdy. Just like the Minerva pieces of yore. 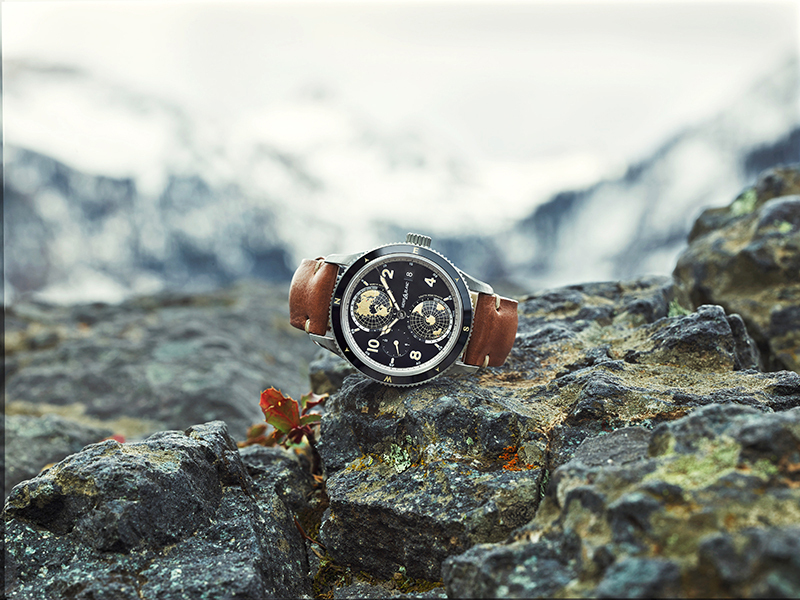 Further up the collection’s mountain trail is the 1858 Automatic Chronograph, which comes in either a steel 42-millimeter case, within which a black dial is matched, or a bronze one, which in turn gets a champagne dial. 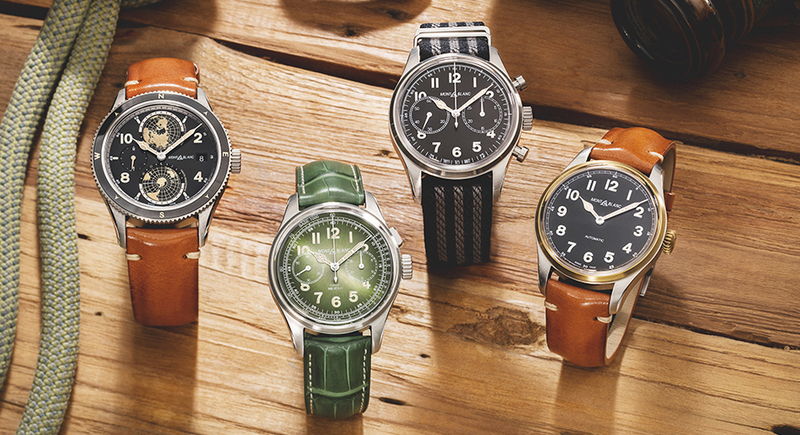 A fluted crown, a pair of chronograph pump pushers, and aged tan leather and striped Nato straps, among other features, supply the model with vintage touches. 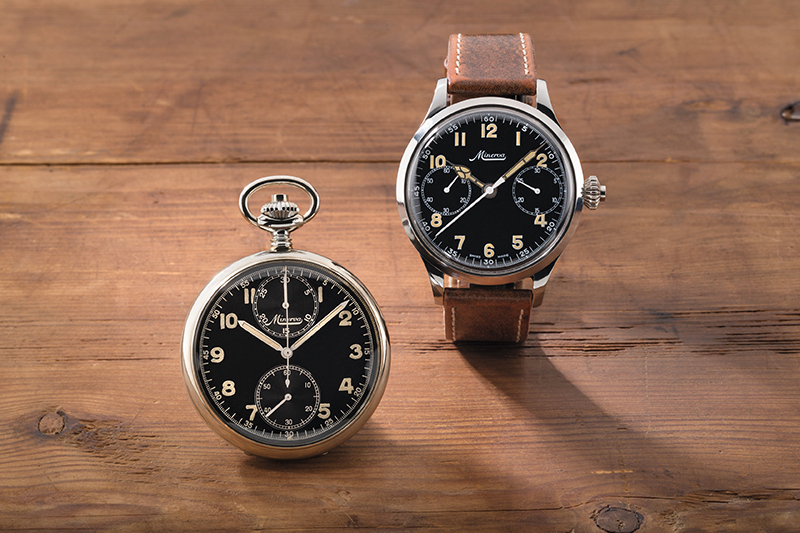 Montblanc’s new automatic calibre MB 25.11, also based on a Sellita (the SW500), spins the 1858 Automatic Chronograph. Also meant as a proper tribute to the 160th anniversary of Minerva is the 1858 Geosphere, whose worldtime complication calibre MB 29.25 is built by Montblanc at its Manufacture in Villeret — at the very home of Minerva since 1902. The watch has two domed hemisphere dials that rotate, with the one on top (at 12 o’clock} representing the Northern hemisphere while the other at the bottom depicting the Southern hemisphere. Other worldtime-related elements placed on the black dial of the 1858 Geosphere are a register for a second time zone and a date window dedicated to the local time. 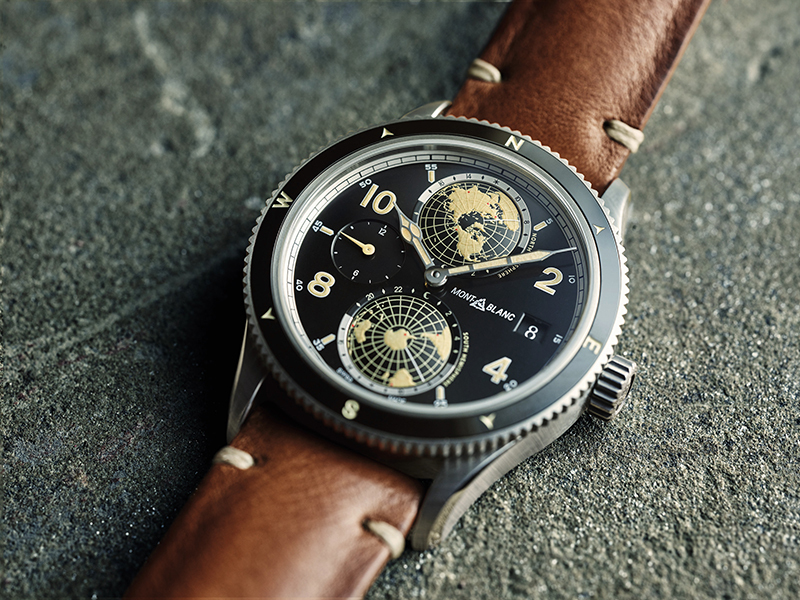 The 1858 Geosphere is housed in a 42-millimeter bronze case, on top of which sit a bronze-and-ceramic, bi-directional rotating bezel with a compass, and a domed sapphire crystal. 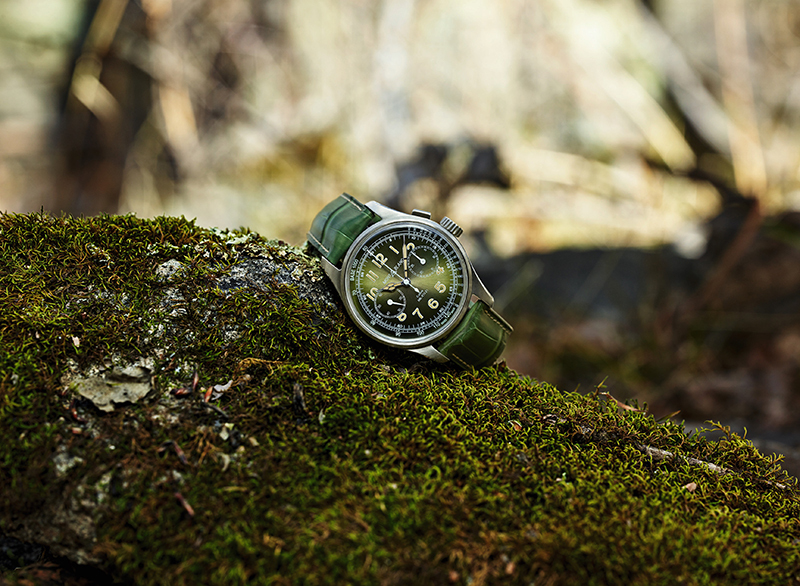 Engraved on its back is “Spirit of Mountain Exploration.” Production of this watch is capped at 1,858 pieces. 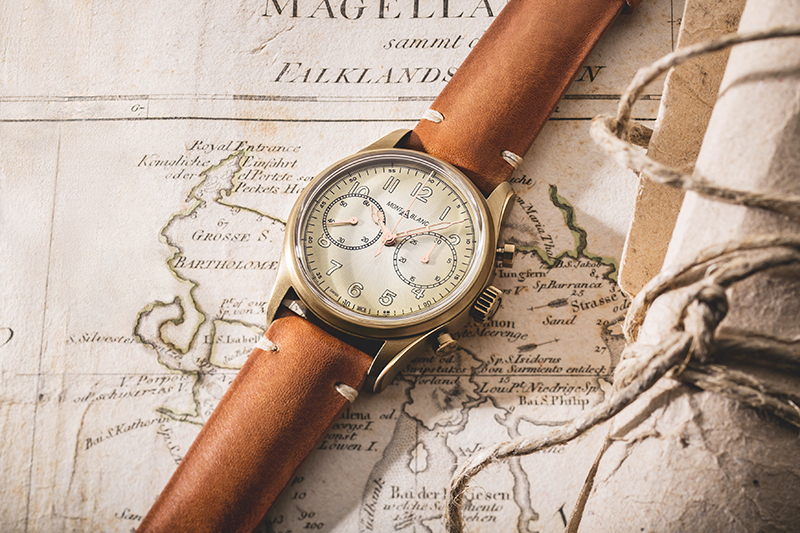 The 1858 Monopusher Chronograph Limited Edition comes in significantly less numbers — only 100 are made. 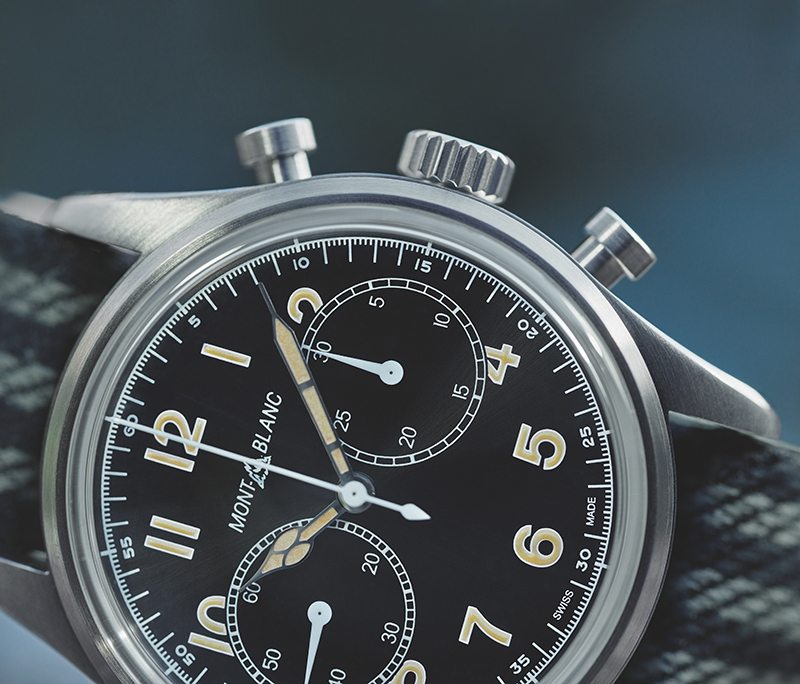 The watch directly honors one of Minerva’s milestones in movement-making, and that is its creation in 1920 of one of the first manually wound monopusher chronographs specifically intended for wristwatches. This movement, designated the calibre 13.20 (indicating 13 lines and its year of launch), was fitted with what eventually became a Minerva ticker signature; the V-shaped bridge, as well as a column wheel with a horizontal coupling. 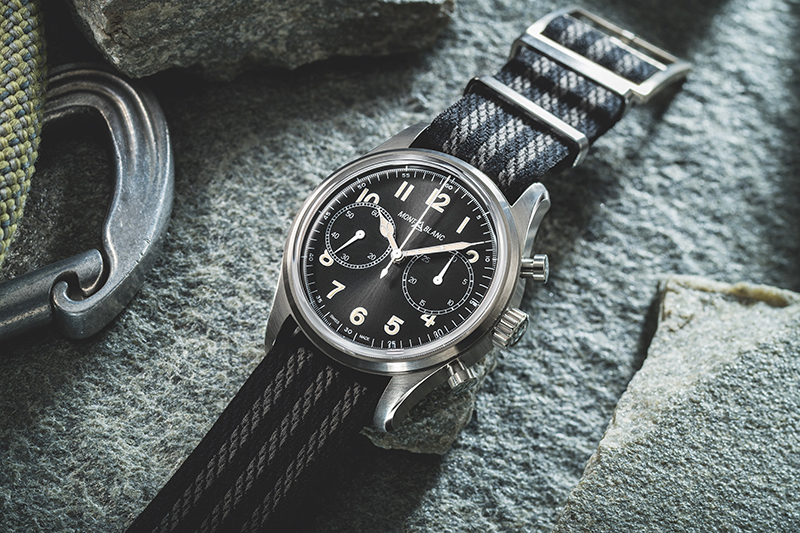 Montblanc’s in-house calibre MB M13.21 follows the Minerva piece by adapting a handwound, column-wheel monopusher chronograph setup and a V-shaped bridge. It looks a lot fancier than the calibre to which it pays tribute. On this 40-millimeter watch’s dial are the bi-compax chronograph registers, tachymeter scale, and the same luminescent Arabic numerals and cathedral hands as those which mark the other 1858 Collection models. 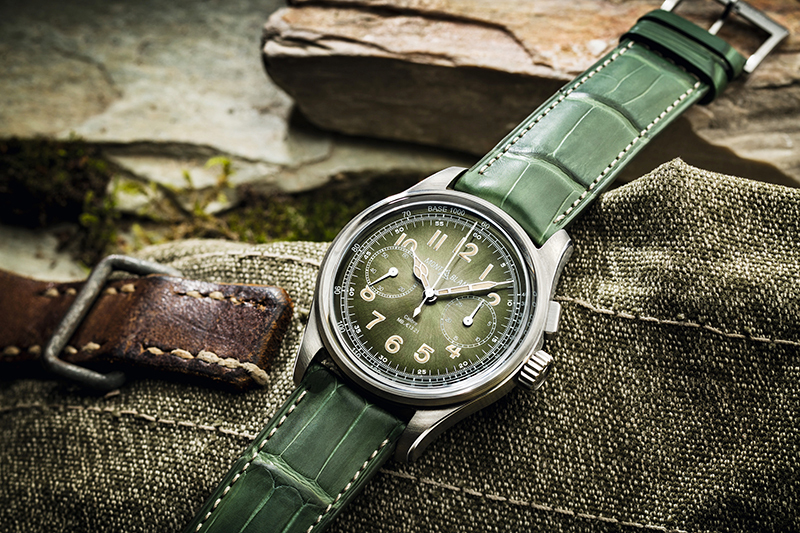 Besides the dial furniture, the striking thing with this watch is its dial color — smoked green, which is matched to a green leather strap. 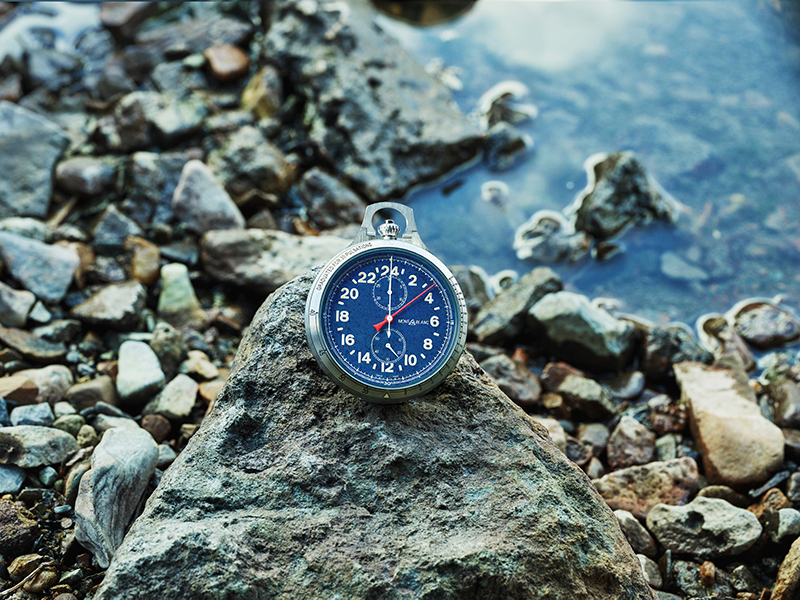 Coming in equally few examples is the 1858 Pocket Watch Limited Edition, a timepiece designed as a handy tool for today’s mountain explorers. 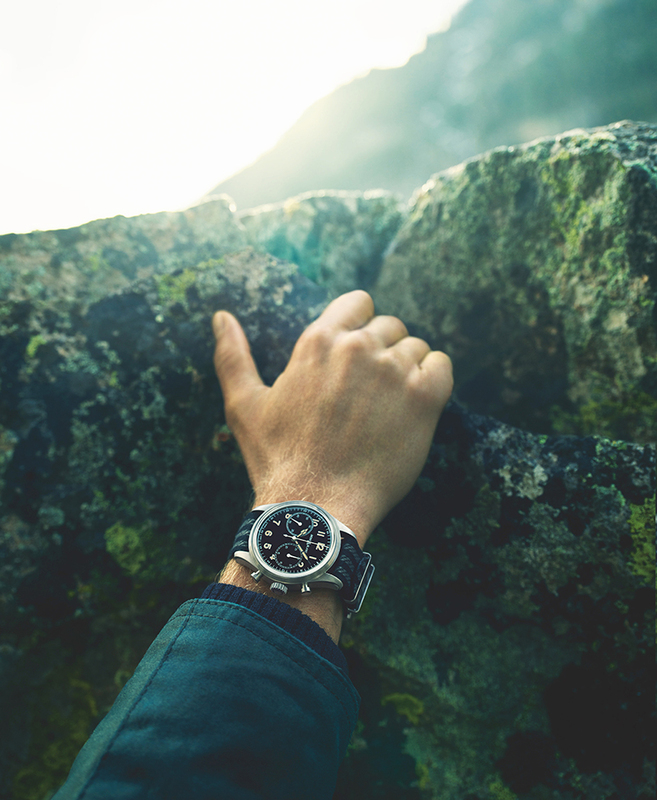 Consider: Its generously sized 60-millimeter case is made of grade 2 titanium, it has a chronograph, and it has a built-in compass. Plus, it is supplied with a Sfumato aged calfskin leather cover and strap, allowing it to be held in hand, or worn on the wrist. 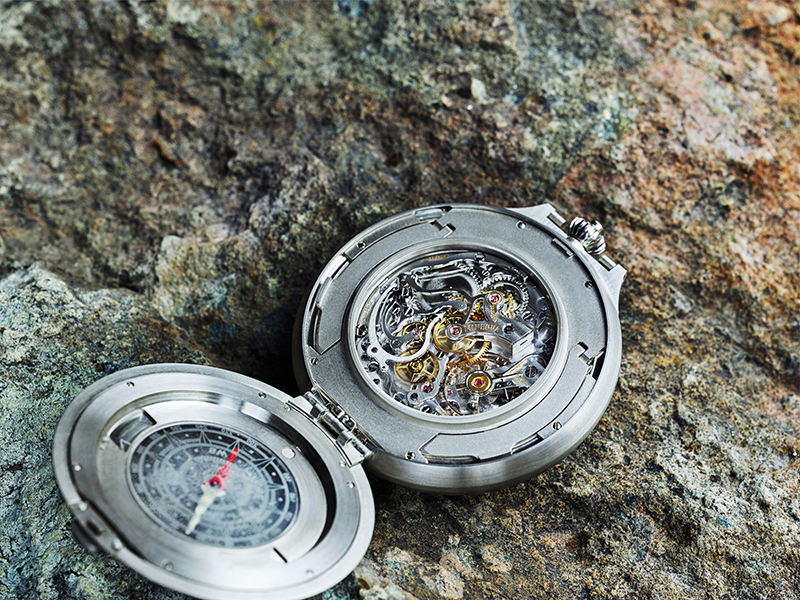 Further declaring the 1858 Pocket Watch as a genuine tool for the outdoors are its 24-hour readout, 30-minute chronograph register at the top of the dial, central second hand, and the small second counter at the bottom. Powering the 1858 Pocket Watch is the in-house, handwound calibre MB M16.24 that’s fitted with a column-wheel chronograph and a V-shaped bridge—just like Minerva’s seminal calibres. Now this is not an awful way in which to rejoice Minerva’s horologic heritage. In fact, it’s quite apt.